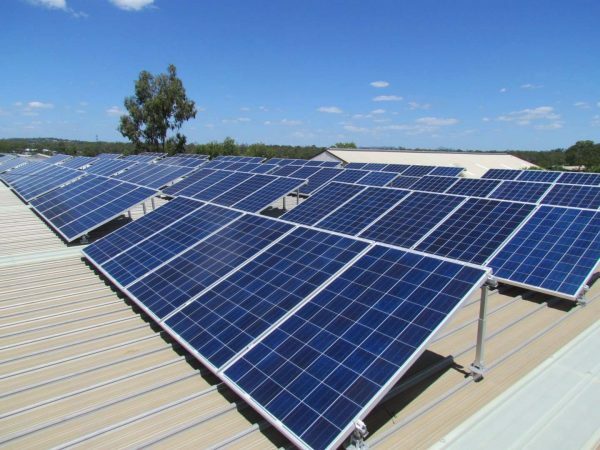 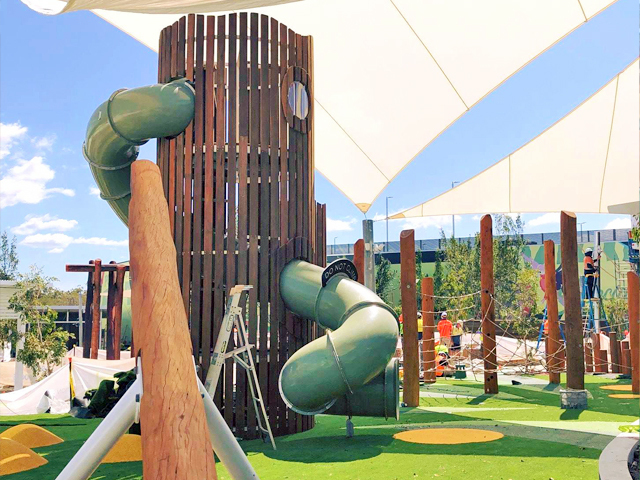 Engaged by Scentregroup to create bespoke elements for multiple playgrounds in Westfield Coomera, The Play Works came through with a range of structures that brought the client’s adventurous ideas to life. 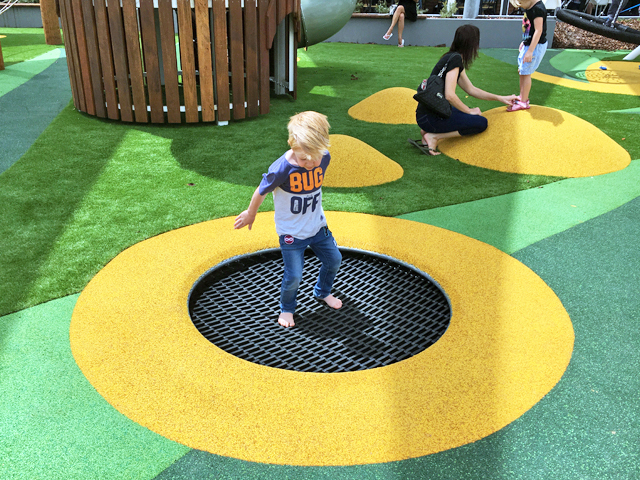 Working from a concept design by Playce Landscape Architects and the Westfield design team, The Play Works were commissioned to build custom creations to outfit the multiple play areas at the new Westfield Shopping Centre in Coomera. 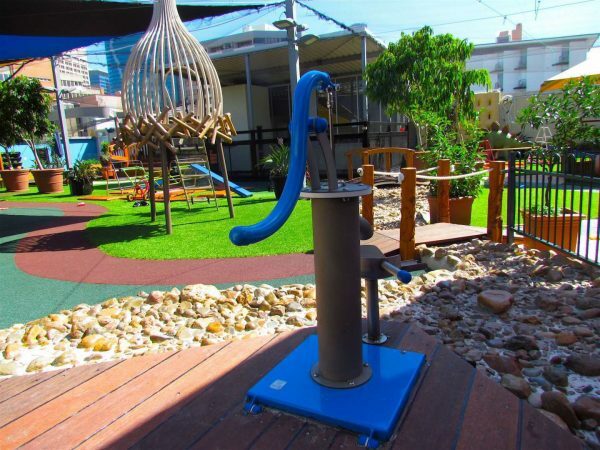 The Backyard is an exciting and diverse playspace with distinct precincts catering for different ages and all abilities. 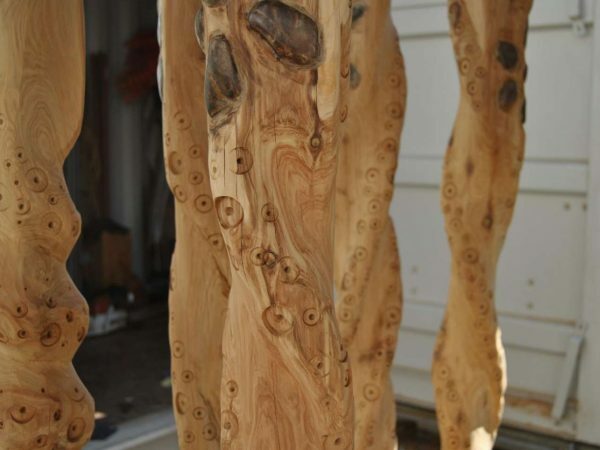 The extensive use of raw timber was used to create an organic feel in a relaxed space; a significant challenge in a commercial setting subject to intense use. 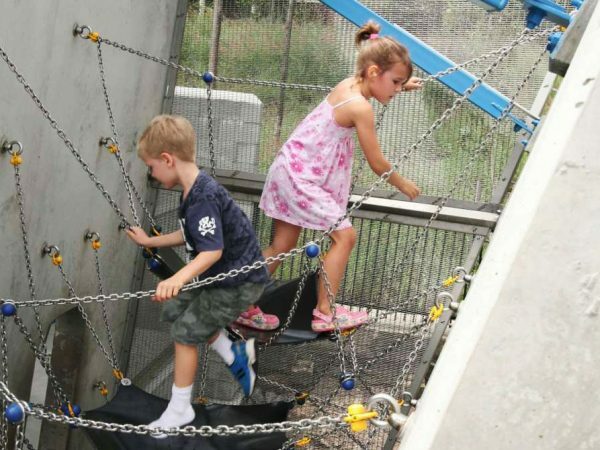 The space is dominated by a 6m-high tree tower that offers a climbing opportunity inside the trunk up to a spiralling tunnel slide, which also connects to a challenging rope complex. 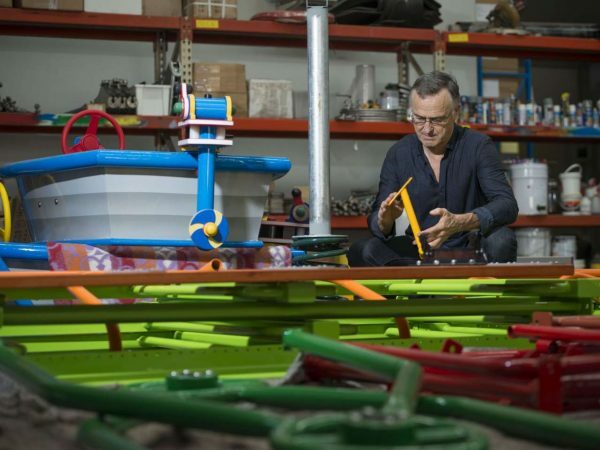 At ground level, in-ground trampolines, an accessible carousel and a cantilever swing for older children provide a wealth of play options. 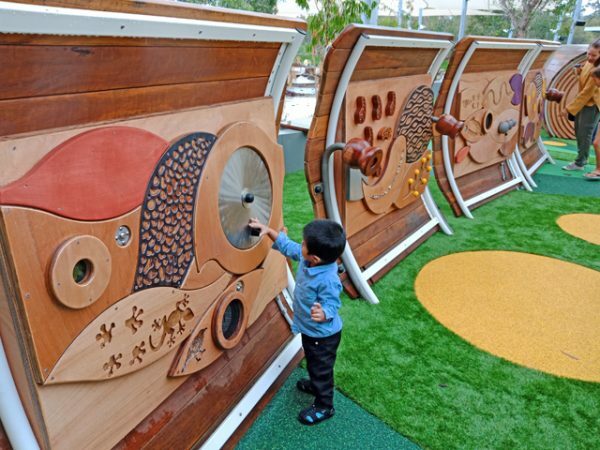 A ‘fallen log’ structure with interactive lights, play panels and bird sounds winds through the Backyard, while a cubby space, sculptured native animals, and a tunnel that dissects a grass covered mound keeps toddlers engaged. 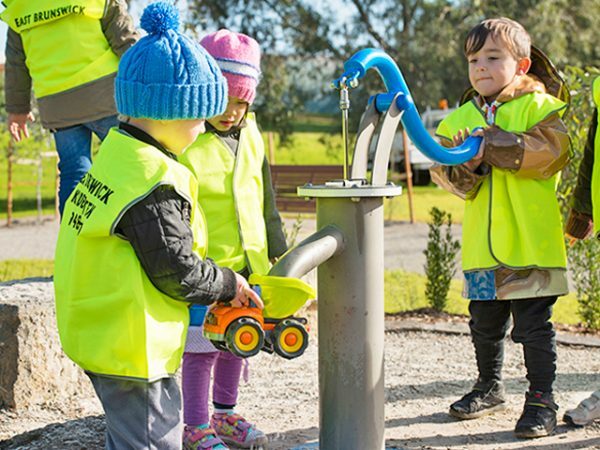 The Backyard is also home to an extensive waterplay precinct that hosts creeks and water pumps, perfect for hot summer days. The watercourse features a range of activities, like a waterwheel, mushrooms, a beach ball and sprouting frogs. 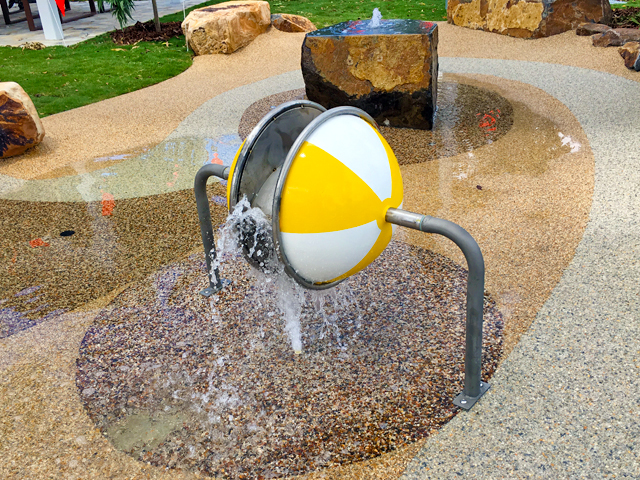 The waterplay area is well shaded and densely landscaped to produce a comfortable environment in all weather conditions. 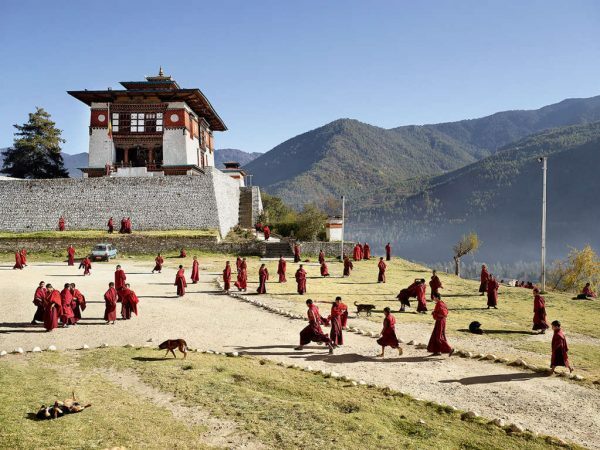 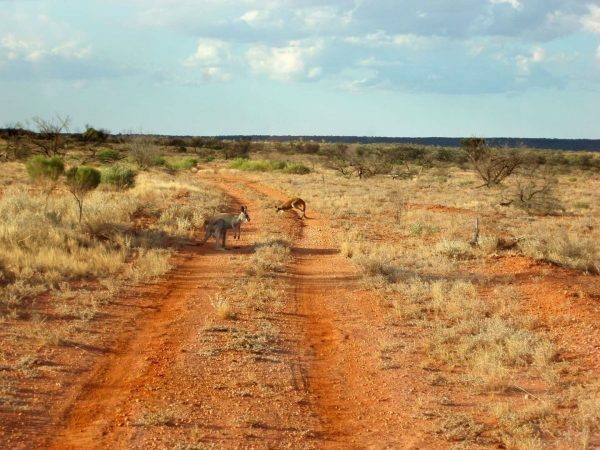 In a separate area, the Village is a restful place for quiet play. 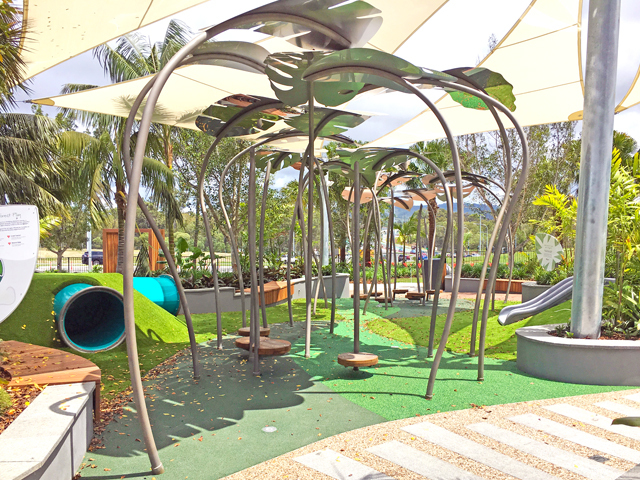 Giant leaf shade structures stand guard over a magical space for toddlers and small children that includes slides and tunnels designed for little adventurers. 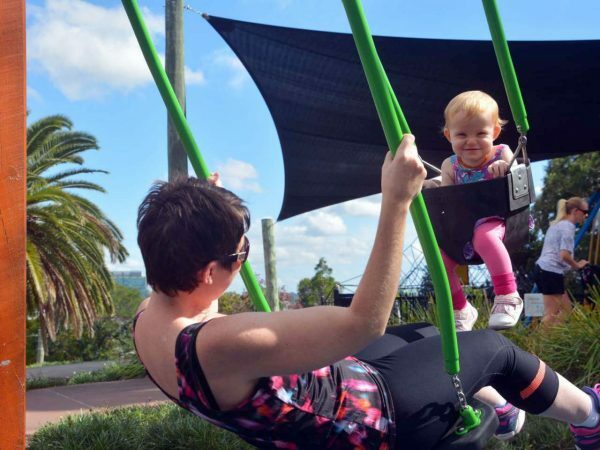 With cafés and parking conveniently nearby, this playground has everything a busy family needs to meet their shopping needs and keep the kids entertained. 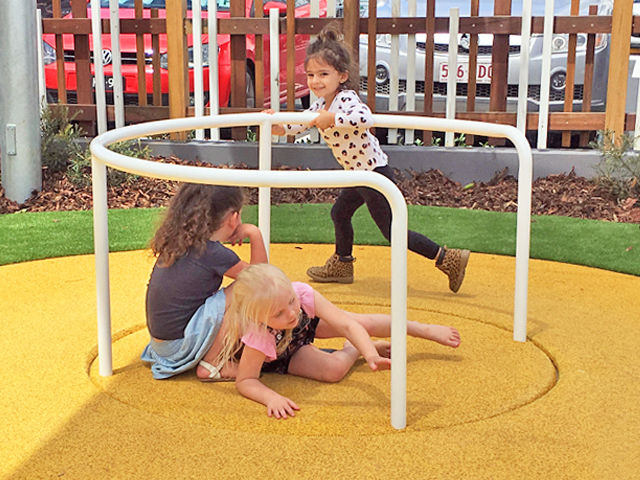 The Play Works is delighted to see a growing understanding of the value of play and its place in all aspects of everyday life reflected in the design of these imaginative play areas.